Feeling Down? Relationship difficulties? Just want to Talk? I am an English Counsellor working online via Skype with individuals and couples on such issues as stress, anxiety, depression, anger, emotional distress, relationships etc. 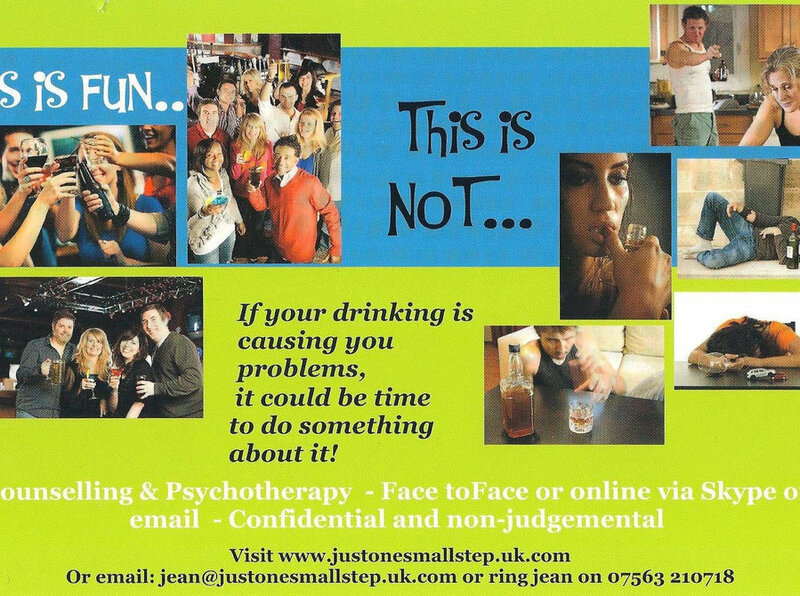 I also specialise in addiction issues - be it food, alcohol, substances, gambling etc. My style of counselling is best described as conversational and integrative. I know how hard it can be for clients to confide in strangers so I make the process as easy and as relaxed as possible. I recognise everyone is different and I offer a safe, confidential space to be listened to. Sometimes just this in itself is enough for someone to organise and verbalise their thoughts in order that they can move on but sometimes the issues are more deep routed and need bringing to the surface before they can be dealt with. I use a variety of theories such as CBT, REBT, TA, NLP in a practical way to empower clients to understand themselves and their problems better and to effect changes because of this understanding. However, “moving on” is also sometime difficult as just understanding the “how” and the “why” is not always enough if people aren’t used to a different way of viewing the World so I also support them through that process. I can't, and don't, promise miracles. I can however promise honesty, respect and an open mind as well as my skills as a counsellor. I also recognise that some clients may not be ready to fully deal with some issues yet, especially with some addictions, but even in those cases the client will always have more insight into themselves at the end of the sessions than they expected to at the start.